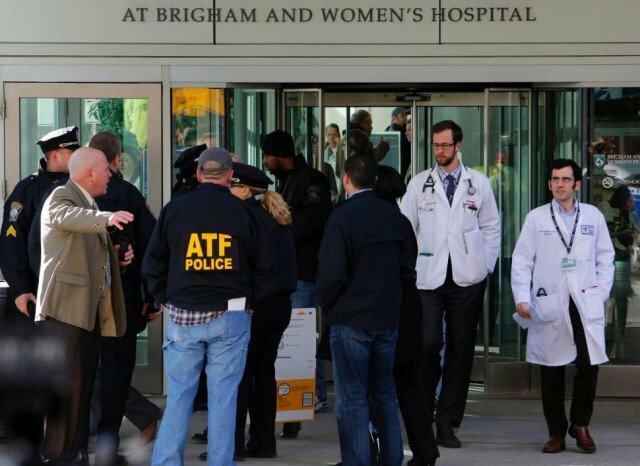 A gunman shot dead a doctor inside Boston’s Brigham and Women’s Hospital on January 20 before killing himself. Authorities said Stephen Pasceri, 55, entered Brigham and Women’s Hospital sometime before 11 a.m. and specifically requested the doctor. Stephen Pasceri, of Millbury, shot the doctor twice just outside an examination room on the second floor of the Carl J. and Ruth Shapiro Cardiovascular Center; he then turned the gun on himself, police said. Boston Police Commissioner William Evans said officers conducting a room-by-room search found the gunman dead in an exam room with the weapon. Hospital officials late Tuesday identified the physician as Dr. Michael J. Davidson, director of Endovascular Cardiac Surgery. “Dr. Davidson was a wonderful and inspiring cardiac surgeon who devoted his career to saving lives and improving the quality of life of every patient he cared for,” said a statement issued by the hospital, which is affiliated with Harvard Medical School. Police said Stephen Pasceri wasn’t a patient of the doctor’s and they didn’t specify a motive for the shootings. “We’re in the process of talking to witnesses, but it’s leading us to believe there was something in the past that upset this guy, that made him go in and look for this particular doctor,” William Evans said earlier in the day. William Evans said police were on the scene within seconds after getting the first calls of shots fired and had the area secured within 15 minutes. The shooting prompted a temporary lockdown at the Shapiro center. Hospital staff were asked to remain in place and the building did not accept new patients.